These actions will help you analyze your image and crop it to conform to the Rule of Thirds or the Golden Mean. As you are learning composition, the so-called "Rule" of Thirds and the Golden Mean can be helpful. I prefer to use them as guidelines, rather than a rule, but I do find them useful when making compositional decisions. 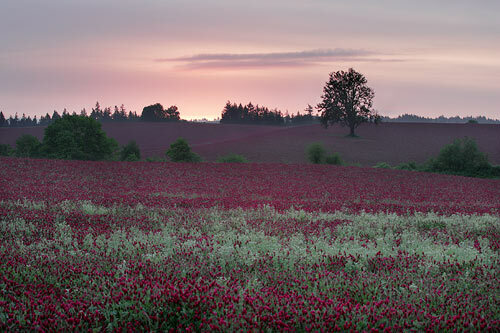 The general idea of the Rule of Thirds and Golden Mean is that you get pleasing compositions when you place your main compositional elements at certain places in your photo. 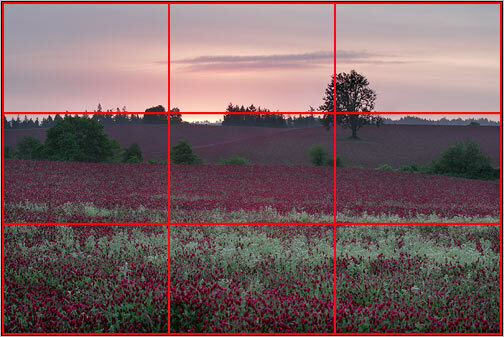 The Rule of Thirds Pro and Golden Mean actions mark your image with a grid, and let you adjust the grid and crop your image so that your main compositional elements fall at the intersections of the grid lines. If you just want to analyze your images without cropping, we have some free actions that will draw the grids for you. 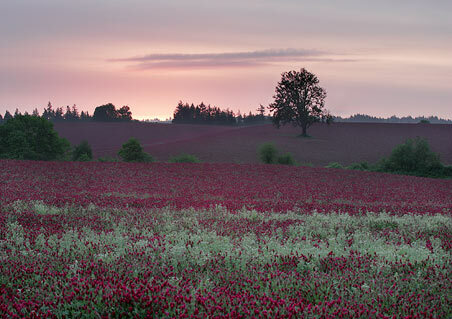 As an example, let's see how the actions will help us crop this image to conform to the Rule of Thirds. Partway through the Rule of Thirds Action, we see that according to the grid, the tree is "too far to the right," and the action stops to allow us to adjust the grid. In this case, we'd adjust the grid so that the tree falls at the intersection at the upper right. When the action ends, we've cropped the image according to our adjusted grid, so that it conforms to the Rule of Thirds, and we've removed the grid. 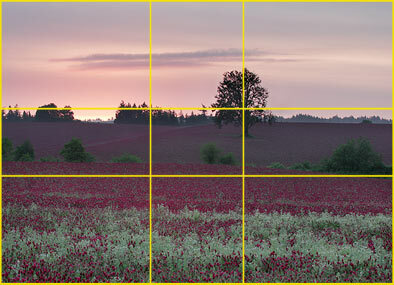 The Golden Mean Action works just like the Rule of Thirds action, but the grid is in different proportions. This is what the image looks like, cropped according to the Golden Mean, before removing the grid.